but some times some motor do not spin when i arm. it usually works and flies perfectly, eventually all motors fail, and some times only one motor fail and the other 3 motors works. Also tested dshot300, no calibration and same problem. I think that’s just too fast for ardupilot… I get a few bad frames even at 600. 300 seems to work fine. The loop rate in arducopter is just 400hz, so it’s not updating the ESC’s nearly that fast. Also, I have issues when I select auto timing… Motors might not spin up until I give them some throttle. So if you changed your timing, check that too. -Edit - I just noticed your last line that 300 does it too. I confirm i am using dshot300 in this two screenshots. It seems an initialization problem of ESC blheli32. We did a flight with dshot1200, when all motors start then you can fly normally. In dshot300 or dshot150, It usually works (all engines start), once in 10, one of the motors fails. why some engines do not start? When I arm and give throttle some time the front right doesn’t start and sometimes the front left, but when the throttle reach around the 45% the motor that didn’t start from beginning with the others ,starts and the copter fly great. Thats weird!, do not exactly the same problem. I am testing in Stabilize and my motors do not start even move the throttle to the maximum. 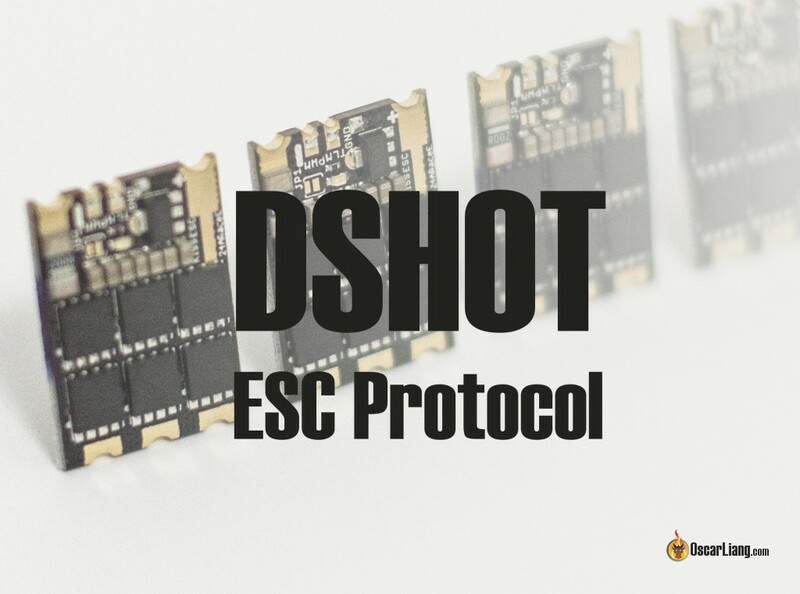 I am trying to do throttle calibration, I have tested all possible but it seems ESC do not enter in throttle calibration when signal is Dshot. Could it be detecting the wrong protocol? I repeat than multicopter works perfectly, i am flying with oneshot125, and i can fly with dshot300, dshot300 works almost always. it flies also en dshot1200. I have to re-start several times until all motors spin but then it works perfectly. In any case I’d like to use dshot1200 because it is digital and it seems to fly ultra-stable. I usually think that these things are hardly noticeable, but in this case I think that it improves a lot. Are there someone using dshot with no problems? Yes… 4 arducopters all on dshot300-600. I fly daily. I did have some problems w/ motor starting, but in one case it was a bad esc, and in another it was the blheli-32 settings. I think in general, my blheli_s esc’s have less issues than the blheli_32 ones… Not sure why. With Arducopter? Last firmware? Can you say me ESC brand/model? I’m using a couple different Speedix ESC’s, and aikon ak32, and Airbot Ori32. But like I said before, they’re all 300-600… I haven’t tried 1200. (Not even sure if these ESC’s support that speed). 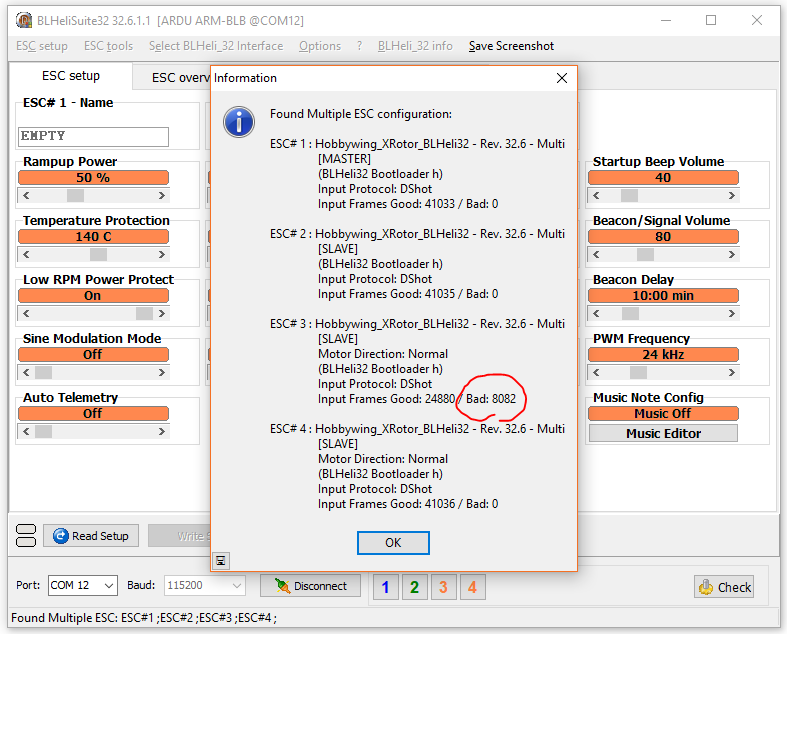 One of my speedix esc’s was bad and had the same sort of motor starting issue. But it was always the same output… Front right, in my case… I returned it, and the next one worked fine. Changing the timing to Auto, and… update rate or something (sorry I dont remember the exact parameter name) in the blheli config also caused motor starting issues for me.